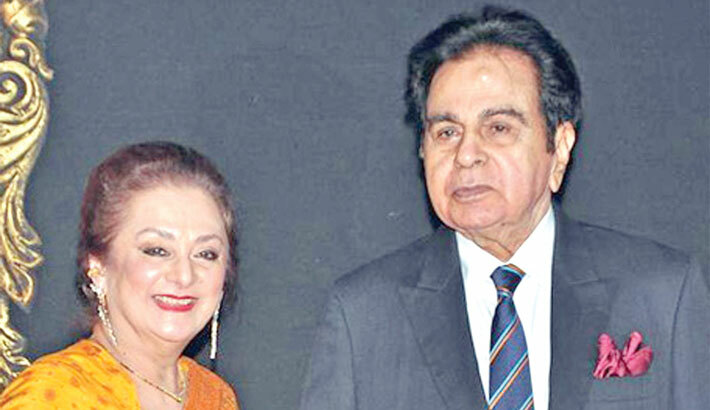 Legendary actor Dilip Kumar, who was admitted to Lilavati hospital here due to chest infection, has been diagnosed with mild pneumonia, his wife Saira Banu said Thursday. "He is doing better now. The medical reports are saying a small patch of pneumonia is there. God willing, he will be out of it soon. But he is doing fine," Saira Banu told PTI. Dilip Kumar's nephew Faisal Farooqui first shared the news about the actor's ill health on his official Twitter account. On his own Twitter account, Mr Farooqui added: "Dilip Kumar has been admitted to Lilavati after he complained of breathlessness. Due to advance age, Saab has been routinely visiting the hospital for overall health care and health management." Dilip Kumar was diagnosed with mild pneumonia in November last year too but the actor recovered and returned home in time to celebrate his birthday (strictly in the presence of his family) on December 11. In 2017, Dilip Kumar was hospitalised twice (in August before November). Known as the 'Tragedy King of Bollywood', Dilip Kumar has given memorable performances in films such as "Andaz", 'Aan', 'Madhumati', 'Devdas' and 'Mughal-e-Azam'. Dilip Kumar was honoured with the Padma Vibhushan in 2015, the Padma Bhushan in 1991 and the Dadasaheb Phalke Award in 1994.